Hal Ketchum was a mainstay on country radio in the 90’s. Huge hits like “Small Town Saturday Night”, “Past the Point of Rescue” and “I Know Where Love Lives” resonated with audiences far and wide. Ketchum’s songs also embodied certain trends that would later escape Nashville and flourish in Texas. Specific, heartfelt, smart, melodic and distinct. Ketchum cut his teeth in the burgeoning Texas troubadour scene of the 1980’s that blossomed on the shoulders of Robert Earl Keen and Lyle Lovett. A regular gig at Gruene Hall and an independent record release led to Nashville, which led to his grand successes. As the years wore on, Ketchum’s musical muse wore out. He found making music less enjoyable and lacking the fulfillment to which he’d originally been attracted. As this inspirational fade began, a health issue paralleled this. Ketchum was diagnosed with a neurological disorder called acute transverse myelitis, a companion disease to multiple sclerosis. Ketchum was achingly familiar with the hell that living with an MS disease can be, as he lost his mother at a young age to the affliction. Touring became more of a challenge and less frequent. Studio time became less enticing and more of a hassle. 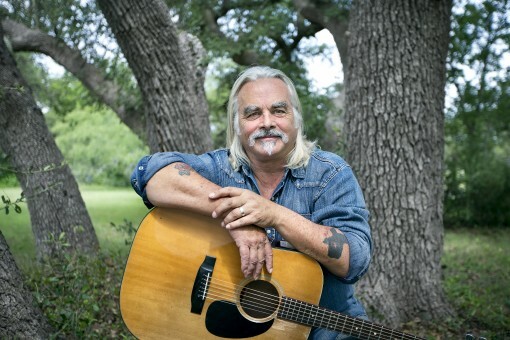 On October 7th, Hal Ketchum will drop his latest album, the aptly titled I’m the Troubadour. Songs from an impassioned artist fighting back from the depths of despair to deliver an artistic triumph. It’s a special record and is already and deservingly receiving critical praise. Hal Ketchum is the troubadour and he’s also the inspiration. **Ed. note – I’m participating in MS Walk Waco on October 18 and am currently raising funds. To read my mom’s story, learn about our fundraising efforts and learn more about MS, please CLICK HERE. It is perfect time to make some plans for thefuture and it’s time to be happy. I have read this post and if I could I want to suggest you few interesting things or tips.Maybe you can write next articles referring to this article.I desire to read even more things about it! 56DJ5p I truly appreciate this blog article.Really thank you! Much obliged. I just want to say I’m beginner to blogs and seriously liked this website. More than likely I’m want to bookmark your blog . You definitely come with very good articles. Kudos for revealing your web-site. hello!,I really like your writing so so much! share we be in contact more approximately your article on AOL? I need a specialist on this house to solve my problem. Maybe that is you! Taking a look forward to peer you. I¡¦ve read a few excellent stuff here. Definitely price bookmarking for revisiting. I wonder how so much attempt you put to create this kind of wonderful informative web site.